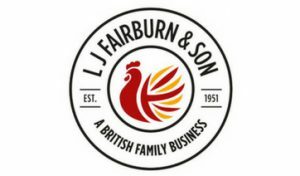 L J Fairburn & Son Limited is one of the largest egg producers and packers in the UK. It is also the only one to produce all egg types including organic, free range, barn, colony and speciality. Led by old fashioned family values, upholding a belief in integrity and loyalty, the business is far from antiquated. Investment in innovative technology helps stream line this family business and future proof it for a sustainable future. In 2012, faced with a “Sink or Swim” scenario the family made a strategic decision to “go it alone” and sell direct to retail. The focus was on investing in the business to quickly obtain significant contracts with retailers. To define the Fairburn’s brand and set it apart from competitors, we wanted to promote the passion in their farming business and the impressive 65 year history, as well as the drive and tenacity this family farming enterprise has. The first step was to create a Marketing and Communications Strategy based on meetings with the family and industry research. 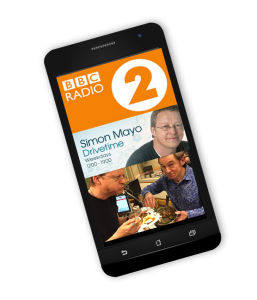 This resulted in a short term tactical plan and longer term strategy with several campaigns to raise the profile of L J Fairburn & Son Limited with retailers and consumers. L J Fairburn & Son Limited was looking for a refreshed identity, in keeping with its heritage. I worked closely with the family to develop a fully integrated Marketing & Communications Strategy which focused on branding, website development, marketing collateral, events management, awards, PR and social media. The objective was to raise the profile of the business as a newcomer to the retail industry – a newcomer which had the ability and determination to push forward with gusto. Winning some notable National Awards has given the family the recognition they required in the supply chain. 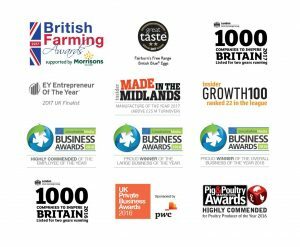 Awards such as the IGD Business Transformation of the Year, EY Entrepreneur of the Year, Great Taste Award and British Farming Family of the Year are just a few of the awards which have given a powerful opportunity to shout about the business success through PR and social media. The campaigns have successfully cemented Fairburn’s position in the UK industry as one of the largest egg producers. 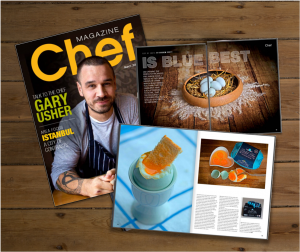 Many said they would fail but we revitalised the company branding, whilst simultaneously raising the brand’s awareness and delivering significantly increased sales volume (now 16 million eggs per week), giving the family the publicity tools they need for future growth & sustainability. Work with this dynamic and growing business continues.